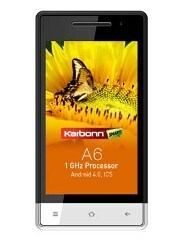 Karbonn A6 is a Dual SIM smartphone runs on Google’s Android 4.0 Ice Cream Sandwich Operating system with 4 inch IPS touch screen and resolution of 800x480 pixels. 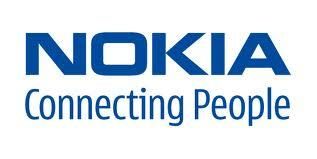 Smartphone is powered by 1GHz processor, 512 MB of RAM. It comes with 104 MB of internal memory which can be expanded up to 32GB, 1,450mAH battery and For Connectivity smartphone supports Bluetooth, Wi-Fi, GPRS with EDGE, 3.5mm Audio Jack and MicroUSB.